One of the country’s longest-running nonprofit arts centers has just announced that its “continued existence is in serious financial jeopardy.” While dispiriting announcements like this are common enough during the current economic recession, this loss promises to be particularly devastating. Founded in 1974, the organization has been a center of the San Francisco arts scene for the last three decades and more; it has served in that time as a vital laboratory for conceptual art, poetry, installation and performance – which practices found little purchase in mainstream institutions in the Bay Area in the Seventies and Eighties – as well as a crucial point of contact with the national and international artists who were shown there. I hoped then that the board, and director Sandra Percival, might see Tercerunquinto’s project (and my review) as a kind of challenge: not only to raise money, but to re-imagine Langton’s role in the arts community, to locate and support forms of practice not addressed or exhibited adequately by larger institutions like SFMOMA and Yerba Buena Center for the Arts, and to pursue new audiences and new roles for itself. It doesn’t seem from outside that these questions were engaged within the institution; certainly they were not engaged effectively enough. Indeed it sometimes seemed as if the institution was moving in a conservative direction, considering its history (less poetry, less community, less chaos). And by largely showing artists who had been recognized and legitimated by institutions elsewhere, Langton lived problematically in those institutions’ shadow. This was in many ways a losing gambit. Percival’s letter of resignation, which she sent out to many in San Francisco’s artistic community, attributes Langton’s current distress to “a ‘perfect storm’ that we have encountered since last fall’s climactic economic events.” Judith Williamson teaches us to be on our guard whenever the economy is naturalized in metaphor – you know you’re about to be handed a bill of sale. Percival’s letter rightly takes credit for the institution’s achievements during her tenure, including many compelling shows and events, and a stunning renovation by architect and board member Kyu Che. (It also includes some events whose credit ought to have been shared with the “small staff” who goes unnamed in her letter – for the record, Carrión, Sam Spiewak and Zoe Taleporos – or guest curators like Anne Colvin, Pamela Wilson-Ryckman and Jill Dawsey.) Yet if, as director, the achievements are hers, then so are the institution’s disappointments and missed opportunities; we can’t blame everything on the weather. Her departure presents the board, and San Francisco in general, with another crisis, in its ancient sense of a “decisive moment” or “turning point.” Can Langton survive its current predicament? Should it? In what form? We must ask not only “what now?,” but “why?” and “for whom?” Proximity Magazine published in May Joseph Del Pesco’s interview with Renny Pritikin, who, with his wife Judy Moran, directed Langton for its first fifteen years or so. He says, “My friend Anne Focke, who started and/or gallery in Seattle around the same time we were building New Langton Arts, was visiting recently, and we asked ourselves: “If we were starting again today, what would we do?‘” This moment of crisis, and the “town hall” meeting Langton promises, will offer all of us the chance to ask their question with renewed intensity. It’s devastating to see such an important local institution in this state. Still, I can’t help feeling that the first step down this hazardous path was the decision to import a director from outside the Bay Area, with a shift in focus from the regional to the international. The Bay Area has fewer and fewer spaces that support experimentation and innovation on the local level. There’s a misconception that turning outward, toward more market-supported art, is going to result in better revenues for these small organizations. These sad circumstances at Langton demonstrate why that’s not necessarily a solution. This is not to say that we should exclude the world beyond the Bay Area, but that international trends and movements should be articulated by our local institutions through a healthy balance of local and international practices represented. Our artists and critics are well aware of what’s happening in the larger world, and can hold their own. If we don’t support them locally, we can’t hope to make any real impact on a national or international level as we’ll forever be copying what someone else did first. I’m glad that this article appeared, as it at least should be noted with gravity that this often-vital institution is likely to pass out of existence. (I should say that I ran the organization with my wife Judy Moran for many years). I wanted to point out that it is historically inaccurate to state that the field of artist-run spaces arose only because of the availability of federal funds. It may very well sound pollyannish to contemporary ears, but this movement arose out of both formal innovation, as Julian writes, with no outlet for artists working in that way, as well as a politicized desire to build parallel cultural delivery systems. The NEA Visual Arts program, under the brilliant leadership of Jim Melchert, responded to the rise of the movement with a grant program in the late 70s or early 80s, after the fact. Thank you for this Julian. My projects The Colony Room and Sgt. Pepper’s were in fact a return to “more poetry, more community and more chaos” which in all fairness Sandra Percival embraced and fully supported. Perhaps too little, too late but I think it was a seed and hopefully one which we can build on. I am a newcomer to San Francisco who, prior to moving to the city, had great expectations of New Langton Arts. I was coming from another alternative space in Texas that was built in the 1980s, inspired by The Kitchen and Langton. When I first walked into New Langton Arts it was already remodeled. The first thing I noticed was the floors. The floors were wood polished floors that reminded me of some of the galleries off of Geary Street. This floor lacked the qualities of an experimental space. The New Langton that I saw seemed to be looking with obedience to the surrounding institutions, rather than imposing itself to the dogmas of 3rd street @ Mission all they way to Geary St. But I must say that I had great experiences at Langton, such as The Colony Room organized by Anne Colvin. I also admired the dedication of the staff whose dedication to the organization was apparent. Although it will be greatly missed, it is important to question what we are missing. Is it its prominent history, or the resistant nature embodied in its earlier years? That nature that was not afraid to take risks in order to address the concerns of the artistic community that other institutions always love to ignore. Does anyone know if a time and place has been set for the Town Hall meeting? The date and time of the meeting will be posted on NLA’s website (www.newlangtonarts.org) and their blog http://newlangtontownhall.blogspot.com/ in the near future. Thanks for this, Julian – I’m much saddened by the current state of affairs at New Langton and glad to find the problematics of the situation up for debate. I don’t want to derail the discussion with a discourse on flooring, but as I understand it, the recent refurbishment of the organization restored its galleries to more or less their original state, stripping out later decorative additions and removing the mdf boards, which covered the original wood floors. Thus what we are seeing is a more true to life version of the institution in its heyday, rather than the New Langton we may have gotten used to in recent years. In any case, I am not sure that the best argument for questioning New Langton’s credentials to show experimental art is that the space is too nice. I’m also not too sure what the fact that a director was hired in from the outside has to do with New Langton’s current plight (which is not to say that I don’t think the director should take responsibility for both the good and bad, as Julian points out). Nor that Sandra Percival qualifies as “international.” Although based in the UK for 13 years prior to arriving in the Bay Area, Percival is a Washington state native and lived and worked many years in Seattle. I think that probably places her in the regional, or “at worst,” national category. That said, New Langton’s history is anything but purely local – the lengthy list of artists who has shown there reads like a national, and in parts international, directory (and history) of conceptual and performance art – from Paul McCarthy to Vito Acconci, Nam June Paik, Tony Oursler, Michelangelo Pistoletto, Eleanor Antin, Joan Jonas and Felix Gonzalez-Torres, not forgetting artists closer to home like Tom Marioni and Bruce Conner. The salient point is that New Langton chose to work with these artists at relatively early stages in their career, supporting work considered too experimental for many institutions. An institution becomes great, dynamic, of interest when it has a clear mission, a clear sense of its community and audience – this does not have to be achieved by barring the doors to outside influences. But it does require focus, which in this case seems to have blurred, resulting in the failure to represent constituencies (whether literary or musical) traditionally associated with the organization, the alienation of many members of the local arts community, and schizophrenic programming with the occasional glimpse of lucidity provided by shows like “The Good, The Bad, and The Ugly,” and “Small things end, great things endure.” The last title being somewhat unpleasantly prophetic in the circumstances. http://www.youtube.com/watch?v=7YHkKo_ngfE&feature=related In hard times, it’s comforting to listen to good music. Leigh, you bring up a really good point: the question of the institution’s mission and its commitment to it. Does anyone know if this is the original one? Has it been revisited in the past? How might it be rewritten now, and does it need to be? This will inevitably be the primary challenge facing the Board, provided they are able to save it. My wife Susan Crossley and I have served on the Board for 7 or 8 years during the Susan Miller / Sandra Percival eras. I served as Chair recently as well. In the past I lived in NY for 12 years and was involved with Avalanche, the Clocktower and the beginnings of PS 1. When I moved to San Francisco 15 years ago I found Larry’s wonderful Matrix program immediately but it took me about 4 years to find New Langton and I was finally home. I respect the large art institutions as they find, educate and convert wealth but they must be safe and simple. Langton and other smallish organizations can feast on today’s art which is conceptual, experimental, multi-disciplinary and difficult to fathom. There in lies the problem. It is not safe, easy, saleable, auctionable, historic, popular and that is why is is so good. It is bohemian art that may or may not be great art but it can be absorbed and felt now. MOMA et al. can not deal with it as it is not institutional. I think Susan did a good job of moving it along and Sandra had a difficult start and the program changed. The artists representing the disciplines left the board and Sandra became the voice and did the best she could. Times are tough of course and that makes everything more difficult but let me inform you that Langton has not failed; it is just in the process of being reinvented. Waves of new artistic energy will continue breaking on San Francisco’s shores and Langton is rising from the ashes as I write. The legacy of the large museums and schools are those who want to be on the cutting edge and want to judge for themselves and we are their place. Money and new board members will arrive through the leadership of the new leader yet to be named. Susan and I are not sad , we are excited and plan to continue to be a part of the 36th year. Nice to see your name here, and thank you for your thoughts. I served on the board of New Langton in 2004-2005 as one of the “artists representing the disciplines.” Specifically, I co-curated the “Performance Writing” series with Jocelyn Saidenberg. My experience as a curator, and a board member at New Langton was really terrific, and I have always valued some of the relationships that emerged and work that we were able to do. And looking back, I am extremely proud of the series that we programmed. But just to chime in for the record (SFMOMA blog, I guess, is “the record”): Sandra Percival made it very clear that the kind of programming we had been doing, despite its success, would not be allowed to continue under her regime. For my part, I took literary programming at NLA very seriously, appreciative of its rich history and importance for local writing and art–and after putting a lot of work into building a successful program and packing the house, it was surprising to be asked to stop. I can’t speak for any other board member who left, and I’m NOT, but for me, I would have been extremely happy to remain on the board because ultimately I believed in the possibilities at Langton, was learning a lot about that kind of service, and really enjoyed many of my sister board members. It was very clear, however, that the “conceptual, experimental, multi-discplinary and difficult to fathom” artists that we were bringing to Langton (and, not to make a blog comment into a brag but bringing to large and grateful audiences) were not going to be welcome under the new regime. It is very difficult for any institution to change. And there is usually a period of discord and in the worst cases, total collapse before any change is possible. This is not a novel idea, we all know this, it constantly reoccurring theme. From our climate, to Obama, to the economy, to our banks, to the auto industry, we are surrounded by the word change. You could say change is the theme of the late 2000’s and to mollify the uncertainty of it we are told change is good. But this knowledge doesn’t lessen the sting and it doesn’t make it any easier to change. In fact, the hardest thing is knowing when to change, what to change, who to change and how. What does change mean if you can’t see it until it is too late? Having worked at the non-proft gallery, Art in General (1), in New York City, a space that was also going through similar (though perhaps not quite so grave) challenges as Langton (not to mention being married to someone who is also dealing with the closing of another important bay area non-profit arts institution), I can somewhat contemplate the difficulties of keeping a non-profit institution, not only open and running, but germane and vital in a shifting art world. It was hard enough in New York. I can only imagine the difficulties of running a non-profit now and here, in the elusive and under-supported San Francisco Art World. The most important question for me that has been asked here, and the one that requires the most change, was asked way before this blog exchange started, in Julian Myers’ Tercerunquinto article. And that million-dollar question was to ask Langton why they should survive? Which is actually a very existential question. I think Myers is basically asking Langton, if you want to live then explain why you are alive. What is your reason for being? And why should we the San Francisco Art world support that. If we, as Sartre suggests, have a responsibility to each other perhaps we should use the condition of Langton as a mirror for the sustainability of the entire Bay Area art world. If is Langton flailing then our art world is flailing and we need a new model or models to sustain ourselves. So perhaps we should not simply be asking Langton why they should survive or in my existential translation, what is their reason for being, but we should be asking ourselves (as of course many of us have, if this blog post is any indication) what do we want Langton to be and beyond that what do we want the Bay Area art world to be and how do we get there? This Langton situation is bittersweet. It has been horrible for the difficulties it has caused the staff, artists, and curators not to mention the audiences, who depend on Langton for support, both financial and inspirational. However I am quite excited by the dialog it has created within the arts community here. It gives me hope for the future. I look forward to the Town Hall meeting. (1) At Art in General we realized that things had shifted drastically from the 70’s and 80’s when most of the NYC non-profits began (as many of the non-profits elsewhere have also realized and changed to try and meet the shifting demand). The need for non-profits to simply grant exposure to underrepresented and emerging artists had changed. Artists in New York needed more than exposure to survive, they needed financial and administrative backing. So we reduced the numbers of shows produced each year and subsequently the numbers of artists supported, and shifted to a commissioning institution, providing artists both a production budget and a separate honorarium to create new and complex projects that otherwise might not get made. This was not an easy change to make. It was difficult for our audience, the board, the funders and the granting organizations to understand the reduction in the number shows presented each year and numbers of artists shown, even though our support could help sustain an artist’s practice and thereby the New York art world, much more than our previous model. Just a few quick responses. My phrasing in the original review gave the wrong impression about Langton’s relation to the NEA. Renny’s version is believable, true, and inspiring, even for those of us with few Pollyannaish tendencies. I concur with Leigh’s discourse on flooring, and what she says about “import(ing) a director from outside the Bay Area.” Yes, even a cursory glance at Langton’s history will reveal an abiding concern with national and international artists. I’ll just add that disaster wasn’t inevitable – and certainly wasn’t provoked by hiring a director from outside the Bay Area. Alongside the obvious economic limitations, the problems (as I argue above) were in the matrix of programming and in the sometimes troubled relationships amongst the director, staff, board, and the different constellations of creative people who felt a deep connection to the place. Brandon’s comment provides a case in point. I am very appreciative that this discussion is taking place. Thanks to Julian and SFMOMA for providing a platform for this. I served as Program Director at Langton from 99-2004, and am now part of the Warhol Foundation in New York. Langton is/was a Warhol Initiative member, one of sixty groups in the nation that were provided with capacity support and professional development opportunities. (Intersection, Galeria, Headlands, Luggage Store, Camerawork, and Southern Exposure are among others locally). During my time at Langton, I worked closely with Susan and the artists on the board in all of the disciplines to generate programs and exhibitions. Along with other dedicated staffers, I spent a lot of time thinking strategically about Langton’s relevance and its future. What been most frustrating personally is that Langton became so isolated, so quickly. With all of its efforts to reach beyond, the organization failed to reach out. It failed to maintain its extended network of supporters, crafted over the course of thirty-four years, and arguably its most valuable asset. What was cut off was access to funders, former staff and board members, fellow arts leaders, and legions of artists and designers who at one point or another were invested in Langton’s success. For example, of the sixty Initiative organizations invited to attend a national convening of peers, Langton was the only one to not send a single representative. “Responsibility is not simply about an individual’s singular existence but about everyone else,” – Well put, Anthony and Sartre. Given that many SF arts organizations are doing so well at remaining relevant and engaged, I don’t think that this is case of “so goes Langton so goes the Bay Area.” If anything it seems more like, “there goes the Bay Area, what about Langton?” If there is an opportunity here for a new-New Langton to emerge, my hope is that it both re-engages with its support network and that it considers the issue of responsibility first and foremost in its plans. Responsibility to its past, the future, and most of all, to the needs of artists. i am really glad to see this discussion happening. i am always very curious on the behind the scenes aspect of cultural institutions in sf. in my experience access to it has been quite opaque. even during a short internship at new langton, it was difficult to gain an insight in its positioning and goals. i have lived in the bay area for only 5 years but have learned from long time residents that new langton had a much bigger role in bridging different cultural niches in sf. because i curated a sound series for a while i am particularly aware of the role new langton used to have in the bay area’s sound/music arena. it is greatly missed by many from that community. also, having done some programming for a gallery recently i am acutely concerned on the possibilities of interaction between institutions and galleries and the viability of creating a dialogue that can further propel ‘a healthy art scene’. so finding out what people involved in the community are thinking regarding these kind of matters has been extremely insightful experience for me. We welcome your comments and ideas. Since this has been referenced a few times here, is there going to be an actual, in-person town hall? Despite my not being able to make such a gathering, it seems like having something be virtual-only reinforces a sense that Langton has grown disconnected from its community. (As it is now, the virtual thing is being eclipsed by this blog, with a discussion already in progress.) I appreciate that the board is working on the funding side – but the artistic side, the role of artists, and some of the big questions being put forward in these posts merit serious consideration. I was a literary curator and board member at NLA from 1997 to 2004. It was a terrific experience, unlike any other. This news makes me very sad. My 2 cents is that there should be some sort of live town hall, if there is any possibility that NLA will re-emerge from these difficulties as a functioning arts organization. An in person meeting just might spark a resurrection effort from NLA’s old community of artists and supporters, if enough of that core group turned out and re-connected. I don’t see how a virtual meeting could galvanize such an effort. I second what James is saying. The conversation has already migrated from http://newlangtontownhall.blogspot.com/ (where it actually never started) to Open Space. I would like to ask Langton’s board what this “virtual town hall meeting” actually implies. Is this a call for participation in the decision making process? A think-tank format, just to let the community express themselves without any feedback from them? Or what is it exactly? I think that the San Francisco art community–that has followed and supported Langton from so many different platforms—deserve to hear from the Board. NLA’s board need to take responsibility with the community, and explain what are they actually asking us to save here. Could you please let us know, what do you imply when you ask us to help you secure NLA’s legacy? Are we talking about the institution itself and future programming? If so, of what sort? Are you asking for help to save the archive? To cover the current debt? Or are we trying to just pay respect to the legacy and propose a wake for what Langton once was? From what I hear, it seems that the main problem at NLA has been a disintegration of community. I’d be interested to know how, if at all, that has had an impact on the finances. Did NLA under Susan Miller have a viable financial model? Was it somehow community-based? Can it be recreated? Or has NLA with or without its community been less and less viable anyway? I think a lot of us would love it to be the case that a strong grassroots community (+ solid grant writing and stewardship of relationships with Foundations, but without major individual giving necessarily) could sustain small arts non-profits in the Bay Area (I’m on the board of another one). But is it? I’m just wondering whether the funds used for the facility renovation and the acquisition of the Garage space — though I’m unclear on what those financial costs were — would have been better used by being saved for the economic downturn. I don’t doubt, Sarah, that the renovation and garage were part of the “perfect storm” that swamped Langton. But an autopsy of the kind your question (and Dominic’s question) requires is bound to be speculative, until the board further clarifies the situation. They might start by answering the questions posed by María del Carmen above. I feel what Anuradha is saying, with zero disrespect to Sandra. The inflated art market pre-recession time unleashed an inferiority complex upon the San Francisco art community. The complex may also just be the side effects of rapid globalization. I agree that all of the institutions need to look inwards to what is happening and growing in San Francisco. I feel that when artists, curators, and institutions stop looking at San Francisco as a strategic move for their careers and as a real place to have a sustainable community that fosters real working relationships maybe things will start to happen again. The “What next” question is important. Experimentalism needs to be protected and venerated and given a chance at the very least or else there wont be anything next. @ Rebecca and Anuradha, I can’t help thinking it would be good if this whole local vs non-local issue (which seems to have preoccupied the Bay Area art scene for ever) was framed in some other way. Not so much as either/or, and without the equation (which is false) of non-local equals ‘the Market’ / local equals experimental. I’m sure it’s possible for art scenes in medium-sized-yet-global cities like SF/Bay Area to do without both the inferiority complex and the need to emphasize the local as such. I am scheduling a townhall meeting for Thursday August 6 at 7pm. Does anyone have keys to Langton? If not where should we meet? We would also be interested in helping/collaborating. is the idea of subletting on the table? A response from the board and further clarification in a new post, here. @Dominic, thank you for posing that question. I’ve been thinking a lot more about this since posting my initial reaction to the news. To step away from a binary local/international opposition seems wise, as you, Leigh and Julian are all correct that one is not inherently more supportable (or less market-oriented) than the other. In my view, the decision which I initially characterized as prioritizing an out-of-town hire over a local one, was really a decision to pursue a more resource-intensive, more outward-focused plan of action overall. With respect to hiring a director, the choice to bring someone in from elsewhere means paying them more than you might pay a local person, absorbing relocation costs, and assuming a couple of years’ responsibility to run the organization with minimal new investment while your new director gets to know the local community from artists to donors to everyone in between. That is the concern I meant to express. For clarification, I don’t presume that a local hire would not have faced many of the problems faced by Sandra Percival, nor that a local hire would necessarily have had better solutions to those problems. At best, a local hire might have meant less of a salary burden and less of an institutional learning curve. However, those factors are important in light of the very dire financial picture being painted by Langton’s board. Another question to ask is, why did Langton choose to hire someone as established as Sandra Percival to direct an institution known for fostering emerging and experimental practices? Again, it’s not a given that such a person could have offered a better outcome, but perhaps by selecting a less-established person as leader, Langton might have been able to produce programming that was fiscally leaner and less dependent on big, expensive names. Finally, I’m glad that Open Space can provide a public forum for this discussion. I hope that Langton’s board will understand that this is an opening they’ve been given, and that it reflects an outpouring of community support upon which they now need to capitalize, effectively and quickly. Let no one assume that the fact of this conversation means the responsibility of Langton’s overseers is in any way lessened. Yes Thanks Dominic. I don’t feel that my input comes from the place that you are describing. I am a S.F. native and I am going to be attending Goldsmiths in the fall for post graduate studies. I have run an alternative art space from 1999-2007. My statement came from a place of love for the San Francisco art community. There is so much cool stuff in San Francisco that doesn’t even get a chance. Or its edited by the institutions and even by the alternative spaces. As of late it does feel like the S.F. venues have been working real hard to educate the locals about international art. What about whats happening here? Langton’s board has not included artists for several years, and that speaks volumes about the devolution of its focus as an arts institution. Langton’s demise is an example of what happens when artists are aced out of the equation, and non-profit art spaces merely become social clubs for the privileged. For almost a decade, the work shown at Langton has felt bland and stale because curatorial decisions were being made by people who did not understand the necessity of challenging prevailing social norms through challenging aesthetics. When Langton decided to stop recruiting artists for it’s board, it made a statement that it no longer valued the opinions and experiences of artists and was not interested in supporting non-blue chip artists whose lack of privilege often rubs privileged board members the wrong way. It was an act of censorship, that makes it impossible for me to mourn the loss of Langton. I can mourn what Langton once was, but that Langton has not existed for a very long time. Julien, SAFEhouse is available to help with admin support and we have room for storage. 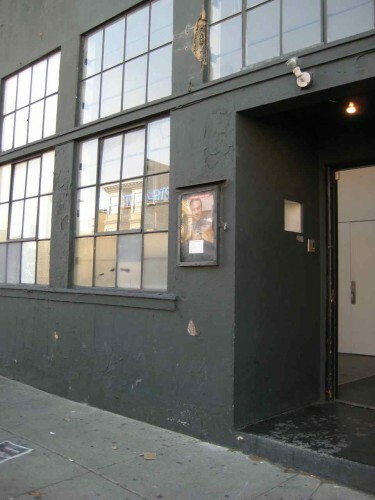 We can also host a community meeting at The Garage (975howard.com) if you decide to have one. Please contact us, I think there are ways for us to help you generate some community support. I was Langton’s ED from 1993 – 2005. From my experience, Langton’s fiscal and artistic force came from its commitment to and practice of the artist-run model. It was the inclusion of committed, professional artists at all levels of governance, with full power to exercise their voices in both artistic and business matters. It was the interdisciplinary nature of Langton’s programming that encouraged the exchange and development of ideas across artistic boundaries. And it was bundles of resources that people voluntarily brought to the organization. Not just money, but also their time, energy, skills, goods, goodwill, and new ideas. This vision for Langton is fully articulated in the organization’s original by-laws. We drew strength, even in the most challenging moments, from the empowerment and vision that document provided. I know Langton’s board is trying to sort through a mountain of issues. I do hope they find a place soon to actively engage the network of talent long connected to Langton. These people still care and have so much to offer. I am encouraged by the chorus of voices on Langton’s behalf and see, once again, an opportunity to rebuild from the strength and know-how of artists and friends both near and far. @ Anuradha, I see what you’re saying the practical and financial consequences of Langton having made an out-of-town hire. Fair point. @ Rebecca, yes, there may be some truth to that. I haven’t been here so long myself, you and others would have a better sense of how this issue has played out historically. I know similar issues get raised in other cities I have lived and worked, like Liverpool and Dublin. I guess I just want to get away from the flipside implication that SF/Bay Area art is not international. It might be that a side-effect of pushing Bay Area art spaces to show Bay Area art is to turn Bay Area artists into local artists. I think more traffic in all directions between the Bay Area and other artworlds would be great. @ Rebecca, I can see what you mean, to an extent. Dom was right, however, in his original comment, to point to the perennial quality of this tension between “inward” local curating and “outward” cosmopolitan engagement. A good resource in this regard is Terry Smith’s September 1974 Artforum essay “The Provincialism Problem.” He’s talking about Australia, and it’s thirty-five years in the past, yet in reading his article you see just how the positions and terms remain almost exactly the same. Reframing the conversation would be helpful. I would also ask whether the Lab, Intersection for the Arts, SFAC, and Southern Exposure (among many others) do not fill the role you set out already. Langton’s relationship to the local, that is to say, has been constitutively different than the institutions above – in ways set out by Renny and Leigh above – and it is that distinction that matters. @ Elizabeth, sympathetic as I am to the general drift of your comment, I find this sentence – “the work shown at Langton has felt bland and stale because curatorial decisions were being made by people who did not understand the necessity of challenging prevailing social norms through challenging aesthetics” – baseless. That you felt exhibitions were bland and stale I cannot dispute. But there were scores of exhibitions in the last decade put together by talented people, including artists, committed to challenging social norms through challenging aesthetics. On your larger point, that artists’ presence on the board is vital, and that their absence in recent years tragic, I could not agree more. @Dominic, I could not agree with you more that we would do better to push Bay Area artists as international artists than turn inward and exclude ourselves from a larger context. I think that in the past, this has been a problem, but now we have so many international curators and artists, both moving here and working outward from here. My only quarrel is that I feel the bigger regional institutions too often ignore that fact, looking outward but neglecting to look inward. The common complaint is that artists who are based here feel they have to move to New York or Europe to get anyone here in the Bay Area to take them seriously. To turn the lens on our generous host, SFMOMA, a case in point would be Mads Lynnerup, whose excellent work was not ever featured in an SFMOMA exhibition during the many years he lived and worked here, but who is now living in New York, and is currently showing a work he created back when he still lived here, in the Media Art galleries. I happen to know that curator Tanya Zimbardo was a strong supporter of Mads’ work even when he lived here, but I can also see how many artists would feel an example like this proves the point that you have to leave San Francisco to get any respect in this town. It’s an emotional response, but one based in some real experiences. I confess to a strong personal stake in this conversation as well. So much of what’s happened at Langton also happened at the Headlands when I worked there: the hiring of a well-regarded director from elsewhere, considered aloof by many in the community; the emphasis on physical plant issues over funding for programming; the attrition of artists on the board; the discovery of previously unnoticed budget issues and dismissal of junior staff. Like that of my friend and colleague María del Carmen Carrión, my position at Headlands was a casualty of such circumstances. Thankfully Headlands is hanging on – but with serious soul-searching, and a major reprioritization effort underway. I bring this up just to point out that this conversation is not just limited to Langton, but in fact these are concerns that affect all kinds of institutions at that level. I think it is important to point out that the above critique is a conflation of disparate issues. It is inaccurate comments such as these that propel this dialogue off course and foster many misconceptions that Bay Area institutions are not recognizing local talent. One can have an emotional response, but it is important to take into consideration that there are other factors that go into when and why an artist is shown regardless of whether they are local or not. But to clarify the above statement, this is not the first time Lynnerup’s work has been recognized by an SFMOMA curator. In 2005, Janet Bishop served as a juror who awarded him an Artadia grant and resulted in his inclusion in a group exhibition at the Wattis. Second, Zimbardo’s exhibition is a group show organized around a specific theme. The fact that he moved to New York has nothing to do with the timing of The Studio Sessions–these are very distinct circumstances and the confusion of them here only leads to greater misperceptions about this entangled issue. Furthermore, it is worth noting that the video on view in SFMOMA’s galleries also screened at New Langton a few years ago. And Lynnerup has previously performed at SFMOMA in conjunction with the Yes Yoko Ono exhibition, and has been widely supported (here and beyond) by other curators, artists, and organizations. @ADQ, my goal was to point out the emotional issues inherent in this conversation. They do color the debate, and I think I was pretty even-handed in doing so. My point remains that there is a perception issue that colors a lot of the dialogue around regionalism and the local/national/international relationship issue in the Bay Area. I said specifically that this was the first time Lynnerup’s work was featured in an SFMOMA exhibition, NOT that it was the first time his work might have been recognized by an SFMOMA curator. It’s important to understand that to many outside the museum, what is inside the galleries is all that matters. Not everyone has the more nuanced point of view that you present. Could you please point out what in my actual statement was inaccurate? I would like to own any mistake I might have made and issue a correction if that is in fact the case. Thanks. To clarify, my above comments were intended to point out that the implied argument presented (via Lynnerup) that “you have to leave San Francisco to get any respect in this town” is false; there is no logical causal connection there. That kind of slippery slope argument (based on an emotional conviction) perpetuates an unproductive myth. I mention the above examples to offer evidence that Lynnerup’s work was indeed respected and taken seriously by SFMOMA curators as well as other local organizations prior to moving, whether or not he was included in an SFMOMA exhibition at that point in his career. I go to lengths to explain this now not to take issue with you personally, but in effort to break down the stereotype for any artists following this discussion “who feel they have to move to New York or Europe to get anyone here in the Bay Area to take them seriously.” I would also encourage readers to keep in mind that there are always many different factors involved concerning why someone might chose to move away, or when and why an artist’s work might be included in an exhibition. I think it is also worth mentioning here that New Langton did have a good history in the last four years of showing local artists, frequently mixing their presentations with artists living here and abroad. And it is that kind of programming that productively steps outside of the local and non-local dialectic. Thanks for the clarification. What you’re saying is true. It’s an important enough conversation that I’m taking it on in a series of posts this week. I’d love to get your continued feedback as I think through some of these issues in a somewhat more formalized way. I have found this whole conversation very interesting as a contemporary artist. I moved to the Bay Area (not SF, but Santa Cruz) just over three years ago. Before this I lived in New York City for eight years where I had a studio and owned and operated a very public (yet private) art space out of a storefront in Brooklyn. Its mission was to exhibit the experimental and emerging artists that I felt lacked a center. My point in outlining this is the strange disconnect I am observing in the Bay Area. The Bay Area is very territorial…SF, Berkley, Oakland, San Jose and the lesser cultural magnets like Santa Cruz. In NYC we looked at the program as a connected scene- Brooklyn, Bronx, Queens, Long Island City and Harlem. They all played together and are funded together by the entire scene. My recommendation would be to restructure and cast a larger net across the Bay Area with a strong magnifying glass. Put the contemporary scene on the map. Create a more diverse board and funds from the greater Bay Area. Do satellite exhibitions in the smaller communities (we know they need it and have the empty space) and expand the true sense of contemporary art and the strength of the Bay Area creative sector. In my opinion SFMOMA has replaced the need for New Langton’s programming. NL was relevant until the doors opened at SFMOMA. Years have passed and the economy has rippled, now exposing the shift. The question of local is funny when it comes to art in CA and specifically SF. I feel we need more non-local direction to help instill the local scene. Site specific is a better catch phrase. I see a great many local works in CA which are not site specific to the times and context we live in now. SAFEhouse has decided to approach the landlord about the possibility of re-opening the space (its listed considerably lower than what NLA was paying). if anyone is interested in the upstairs gallery (we are primarily interested in the downstairs performance space), please let us know. thanks, j. The Maltz Museum has been buying-up artworks of Marc Breed’s and destroying them.